This has been our second project developed with the Performing Arts Dept. at Calderdale College. In 2015 we developed the hugely successful touring project: ‘Pitter : Patter – The Storyman’ taking students with us into local schools to explore stories of migration and cultural heritage. 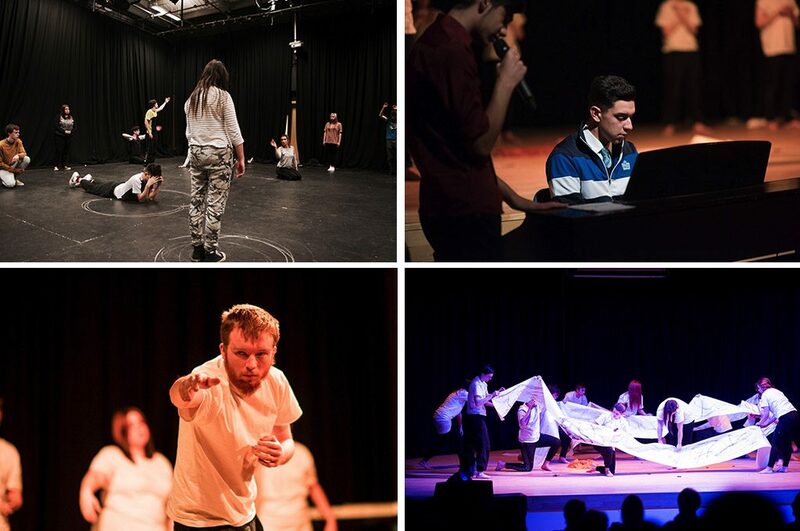 In 2016 verd de gris met with Performing Arts course leader Karen Blick to explore new opportunities for her students – opportunities that would tie in with the ‘Devising’ and ‘Community’ modules on the course. verd de gris saw this as a good way for the students to ‘connect’ with their local communities in a meaningful and insightful way. Sharon and Natalie from verd de gris worked with the students for 6 weeks, using the stories and experiences from Pavel Botos and the local Roma as source material. We wanted to devise a project that challenged the students notion of ‘freedom’ – we wanted them to create a powerful piece of theatre drawing on the experience of political oppression and cultural segregation. The students are of entirely White British background and knew very little of the local Roma or the plight of political migrants and refugees. As part of the project – and to really deepen their level of understanding – we matched the students with a group of young people attending the neighbouring Sowerby Bridge High School (2 x Roma boys and 2 x Afghan boys). We facilitated several opportunities for the college students and boys to meet (at the College), so that the performing arts students could hear first-hand what life was like for a young Roma in the Czech Republic and Slovakia. They also heard the story of the Afghan boy’s flight from their homeland and the Taliban.